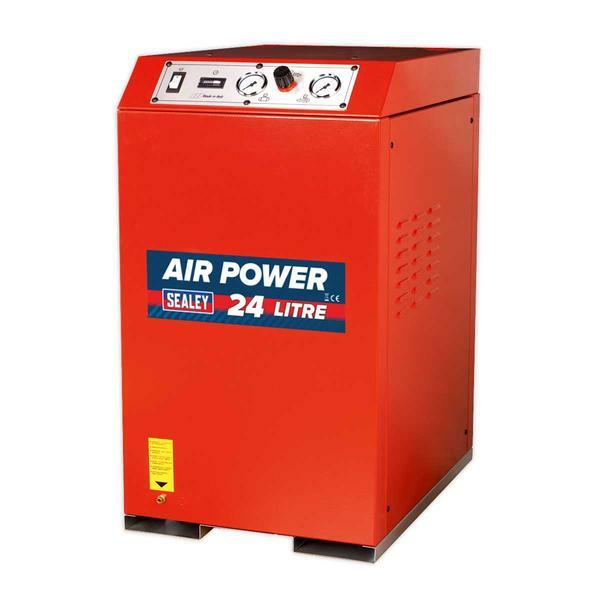 Cast iron cylinder head, compact size and quiet running features make this compressor unit suitable for installation near or in working area. Noise output is just 57dB(A) (at 1mtr). Includes heavy-duty single phase electric motor with soft start circuitry to enable smooth operation from 13Amp supply. Integral 24 litre tank may be supplemented by additional receiver (see Model No. SA200T). Regulated pressure output with gauges on control panel for precise adjustment.